Restorasi Ekosistem Riau (RER) is a pioneering private sector-led collaborative project to restore and conserve ecologically important high conservation areas on Indonesia’s Kampar Peninsula and Padang Island in the Province of Riau, Sumatra. This is a snapshot of ecosystem restoration in progress on the Kampar Peninsula in Riau Province, Sumatra, where the landscape is being protected and restored to benefit the environment and its communities. 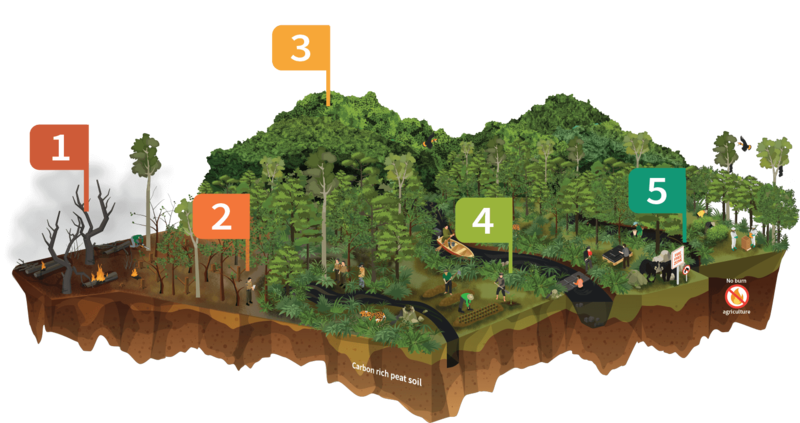 RER employs a four-phase model to support peatland forest protection, restoration and conservation – protecting the landscape; assessing the ecosystem and the social environment; restoring native plant and wildlife species; and managing for sustainability. Click or tap on the flags below to find out more about RER’s approach to restoring forest ecosystems. 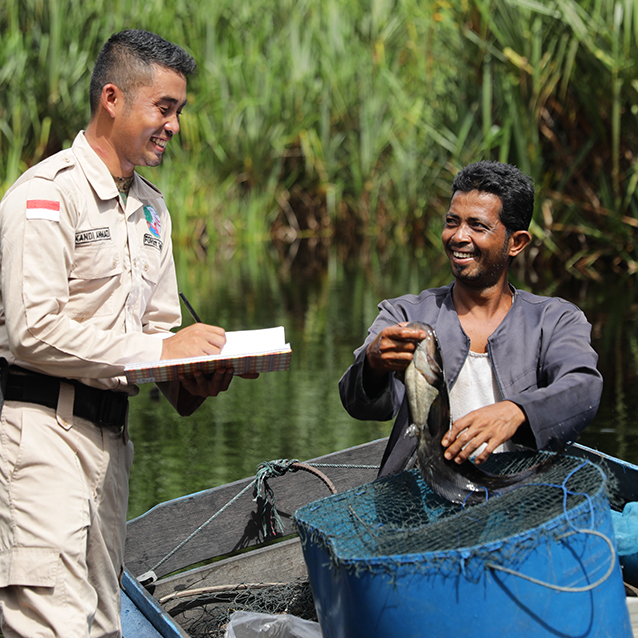 Restorasi Ekosistem Riau is one of the largest privately funded ecosystem restoration projects in Indonesia. 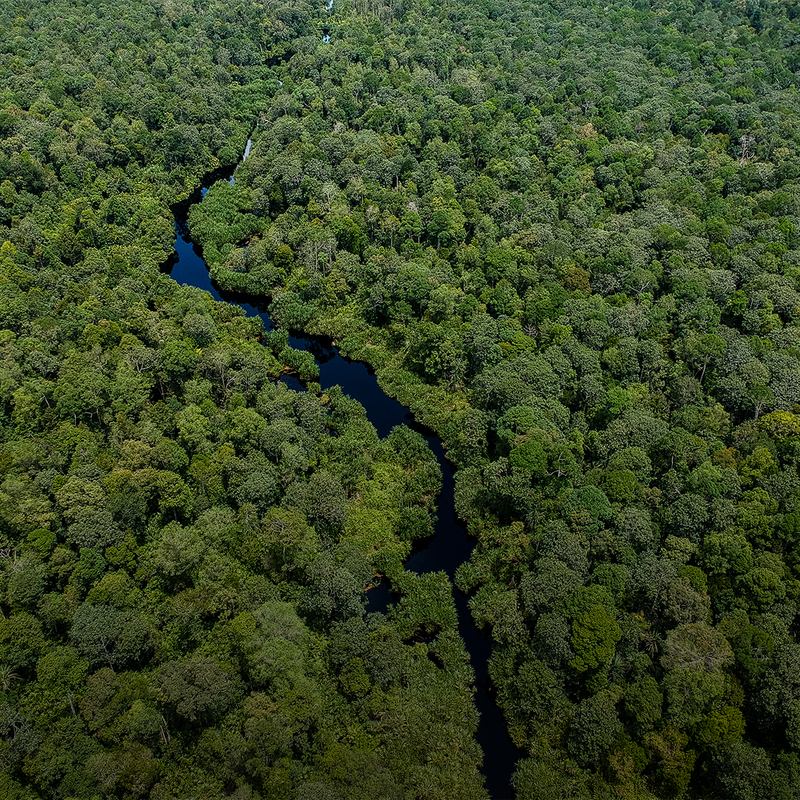 The programme protects, assesses, restores and then manages the biodiversity on the largest remaining area of Sundaic lowland peatland rainforest in Indonesia. Prior to 2013, the forest was progressively degraded through years of selective logging, encroachment and fire. Made possible by five 60-year ecosystem restoration licences granted by the Ministry of Environment and Forestry and a US$100m initial investment from APRIL Group. Conduct regular air, land and water patrols to monitor possible threats. Patrol and protect the restoration area. The peat forest stores massive amounts of carbon and is the source of millions of litres of fresh water that supports nonforest resource activity for downstream local communities. 689 megatonnes of carbon stock was documented on 70% of RER’s area. 98% of the forest’s carbon stock is stored below ground in peat soil. Restorasi Ekosistem Riau balances conservation, natural resource utilisation and community well-being through collaboration, sustainable agriculture, forestry production and the conservation of natural capital. 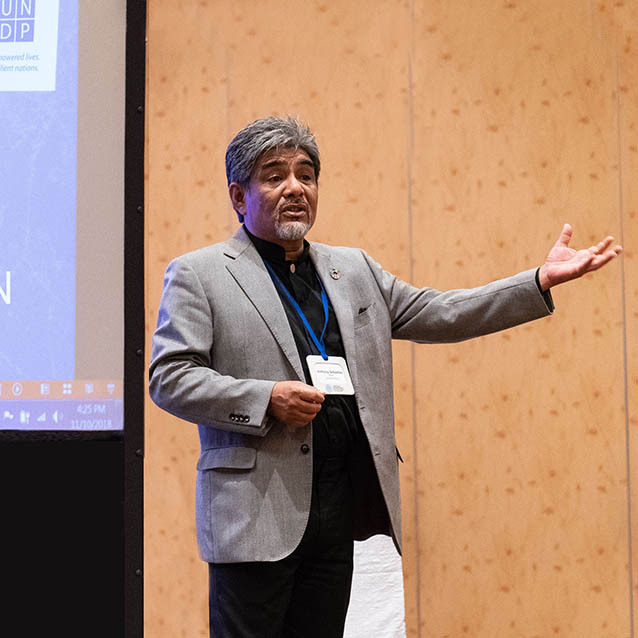 The programme contributes to an integrated production protection model which recognises that peatland cannot be protected and conserved in isolation. 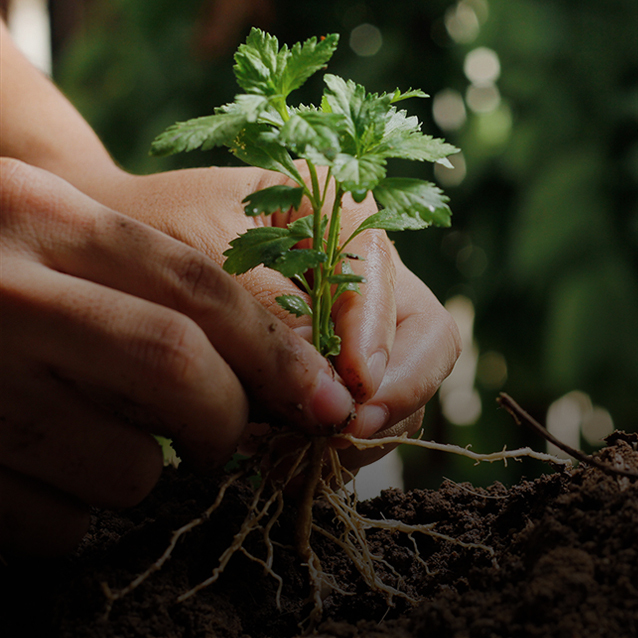 Restorasi Ekosistem Riau encourages new forms of livelihood generation to support the 17,000-strong Kampar Peninsula community, including horticulture, farming, fishing and honey collection. APRIL’s Fire Free Village Programme worked to ensure that Restorasi Ekosistem Riau was untouched by fire during the 2015, 2016 and 2017 dry seasons.